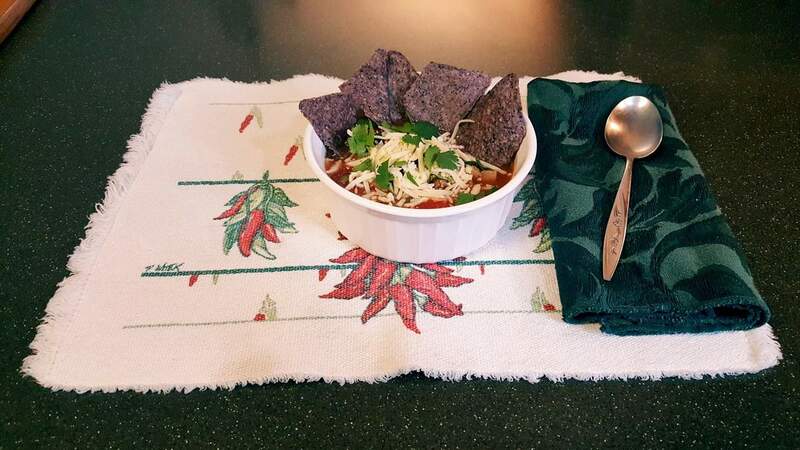 This easy to make soup is extra delicious since the El Sol salsa is made with so many good ingredients like fire-roasted tomatoes and corn, black beans, jalapeno, Hatch chiles, and onions. Heat oil in large saucepan over medium heat; add in onions and carrots and season with salt and pepper. Saute until starting to soften, about 10 minutes, stirring occasionally. Add in garlic, cumin and coriander and saute an additional 2 minutes. Add in El Sol Fire Roasted salsa and chicken stock; bring to a boil, then reduce heat and simmer 20 minutes. Add in meat (if using) and cooked grain/pasta; simmer an additional 10 minutes. Add in lime juice, and serve topped with shredded cheese, tortillas and cilantro.